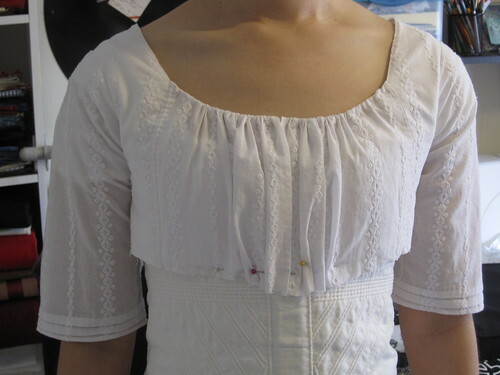 I’ve been working on this dress on and off since last fall, but I finally got into high gear when I needed something new for a regency tea (happening tomorrow). 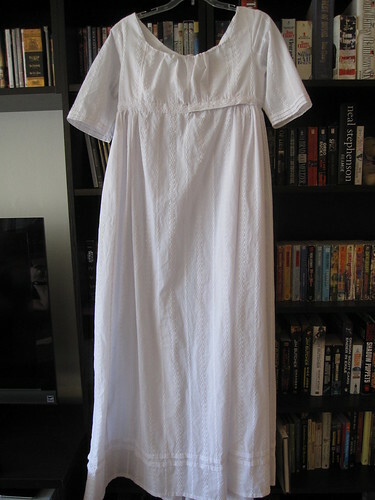 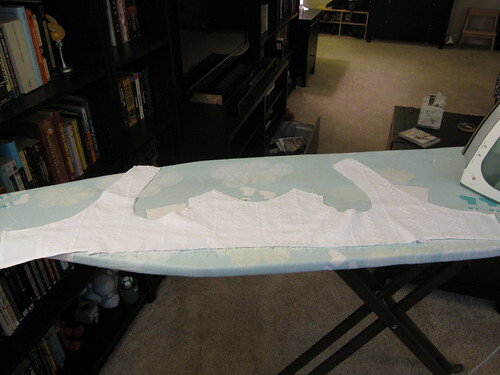 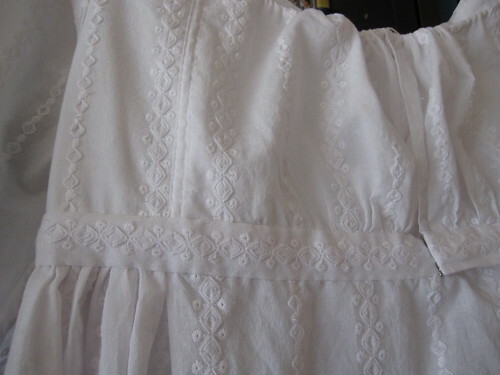 It’s made as a replacement for my old white voile regency, which I’ve worn too many times to count. 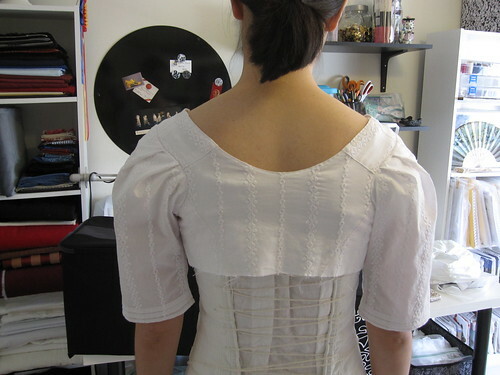 I haven’t got any final photos of me wearing it yet, so you’ll just have to wait until I get pictures from the tea.